Henckels 15-Piece Knife Set Just $99.35! Down From $345! PLUS FREE Shipping! You are here: Home / Great Deals / Amazon Deals / Henckels 15-Piece Knife Set Just $99.35! Down From $345! PLUS FREE Shipping! Don’t miss this amazing deal from Amazon! Grab this Henckels International Statement 15-Piece Knife Block Set for only $99.35, down from $345.00, PLUS FREE shipping! 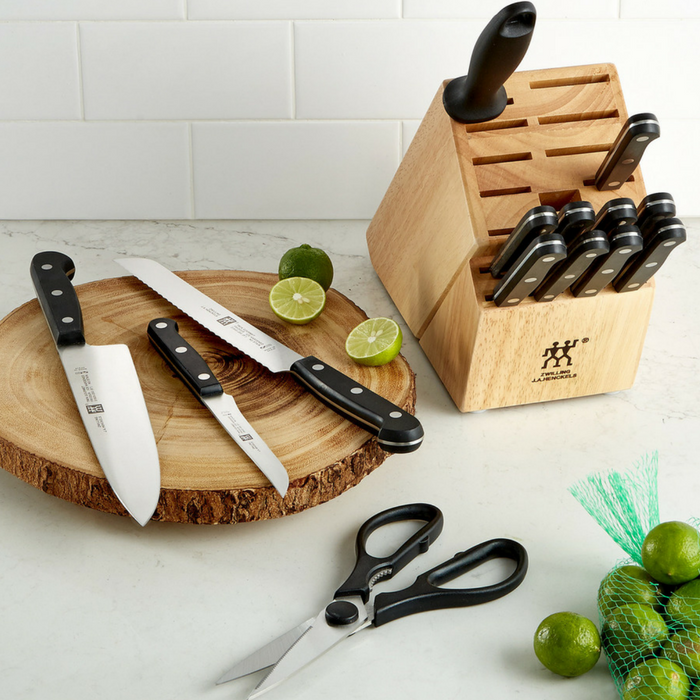 The Henckels International Statement 15-Piece Knife Block Set is stocked with tools to easily tackle your kitchen tasks. Honed for long-lasting sharpness, the fine-edge blades boast precision cutting. The all-rounder 8″ Chef’s Knife is perfect for chopping herbs and dicing onions and the 8″ Bread Knife cleanly slices through crusty sourdough. Each time you cook, you will want to reach for this useful knife set!